Major changes ahead for record-breaking Thriller Live! Yet another long-running West End record will be smashed soon! A thrilling new opening to the show is being created and 4 new Michael Jackson songs - Who’s Loving You, Rockin’ Robin, Remember The Time and Human Nature- are being added. All the new elements will be in place by October, when a second Thriller Live company will also set out to tour the UK and Europe for 10 months, showcasing all the new elements from the West End show. On Sunday 12 April, 2015, Thriller Live played its 2,619th performance at the Lyric Theatre and passed the original 1960 version of Lionel Bart’s Oliver! to become the 18th Longest Running West End Musical Of All Time. The show has yet another long-running West End record in its sight later this year... On Sunday December 13, at its 2,901st show, Thriller Live will pass Tim Rice and Andrew Lloyd Webber’s 1978 hit Evita to be named the 17th Longest Running West End Musical Of All Time! Thriller Live is currently booking to June 2016, which will see the production comfortably pass 3,000 West End performances. Thriller Live continues to set and break records and play new territories around the globe. To date it has now performed to standing ovations in 30 countries from South Korea to Norway, South America to China, Australia, New Zealand and South Africa. 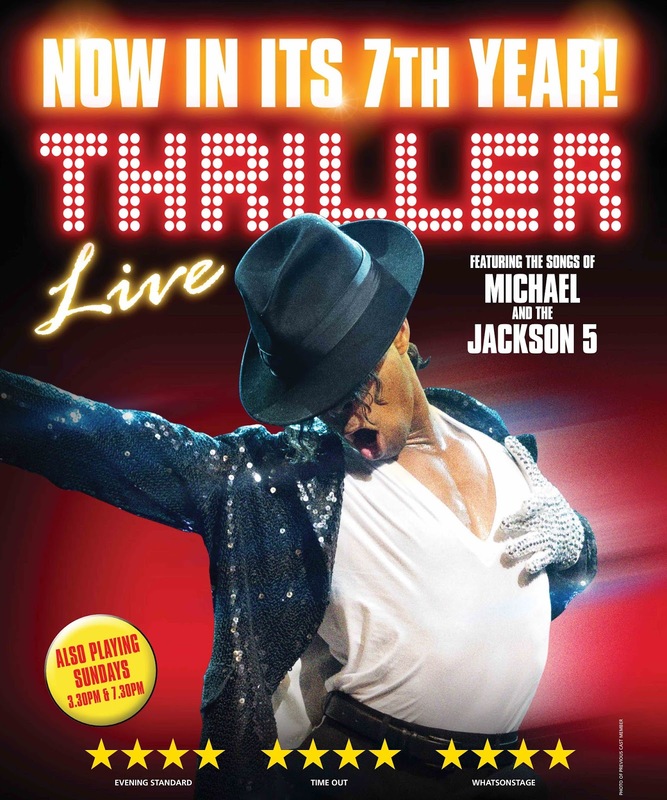 Thriller Live was originally conceived and created by Adrian Grant, a long time associate of Michael Jackson, and author of Michael Jackson – The Visual Documentary. It is produced by Paul Walden and Derek Nicol for Flying Music in association with Adrian Grant for Key Concerts.